Zoo With Roy: Haircut Party!!! 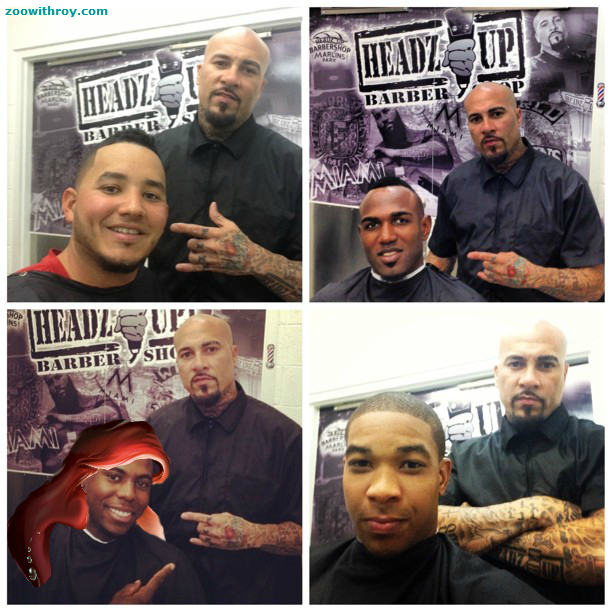 Always on hand to break the big scoops, Philly.com producer and The Fightins ace reporter Justin reported yesterday that Freddy Galvis, John Mayberry, Jr., and Ben Revere stopped in (along with Marcell Ozuna) to get haircuts at Miami's Original Headz Up Barber Shop while in town to play the fish. I think you'll find their choices tasteful and stylish.